NEW YORK (CNNMoney) - Biotech billionaire Dr. Patrick Soon-Shiong took control of the Los Angeles Times on Monday, bringing the newspaper back under local ownership for the first time in nearly two decades. Soon-Shiong said in an internal memo Monday that the acquisition of the Times, The San Diego Union-Tribune and the rest of the California News Group is now complete and explained why he and his family purchased these publications, especially at a time when media is "facing an existential crisis." "We purchased the California News Group in large part because of this crisis and our desire to contribute our resources and technology," he said in a memo obtained by CNNMoney. 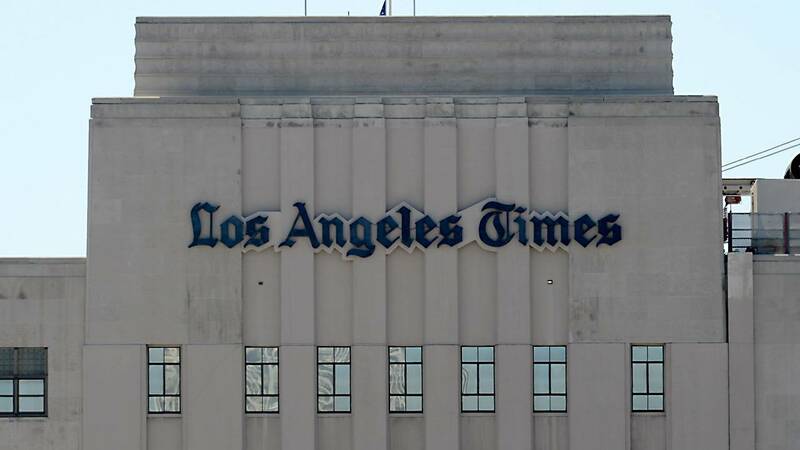 "We want to preserve the integrity, honesty and fairness of the newspaper we've observed in our decades as avid readers of the Los Angeles Times." Soon-Shiong added that he fervently believed that these titles "Must continue to serve as beacons of truth, hope and inspiration for our communities." "They are the voice for our state, the nation and the world and must be preserved," he wrote. The New York Times reported on Monday that Soon-Shiong named Norman Pearlstine as the paper's new executive editor. "He's the perfect person to guide us into this new era," Soon-Shiong told the New York Times on Monday. The Chicago-based Tronc announced in February that it reached a deal with Soon-Shiong to sell the papers for $500 million in cash. The change in ownership comes after years of chaos at the paper. "We will encourage and enable our journalists and business-side colleagues to collaborate without compromising our core principles of strong journalism and editorial independence," Soon-Shiong added in the memo saying the news group "must be run as a business to innovate and thrive in the digital age." Soon-Shiong finished the memo by writing that "California — and the West — is where the world comes to see its future" and that the California News Group "remains a vital element of that future for generations to come." The memo to employees comes a day after Soon-Shiong published a note to LA Times readers in Sunday's paper saying "our important work protecting and building on a rich history of independent journalism begins."